This time of year everyone likes to talk about cleaning and organizing. And I'm included. The resolution to de-clutter and simplify in general is always near the top of my list. Perhaps it's the good feeling you get when all Christmas decorations are put away, new gifts have found a place, and the house has been cleaned. Maybe it's the resolve to have - or do - less that gets people kicked into gear. Or maybe it's the fact that the weather keeps us inside, and therefore staring at the messes and wanting to do something about it. But something about the month of January always makes me eager to get organized. And I can translate that further - to throw stuff out. I find enjoyment, and a sense of accomplishment, in getting rid of things. It's almost weird. I'm pretty sure I've written before that Joe moves things to his office at the church if he's worried I might throw them out. In my defense, I usually ask about the item in question first...but sometimes I don't. If it's obviously "junk" or never used, I might be inclined to just toss it. But I digress... I like to throw things away. I am using my stash of bags to collect trash, junk, whatever. My goal is to fill up one per day. If it's trash, as it usually is, it goes outside into the bin. If it's toys or clothes, or other things I can donate, then it goes to the laundry room or even better (and out of the house) the car, and then I can determine where to take it from there. "How many things are there which I do not want." This little project, or activity rather, has given me lots of reasons to go through things - the junk drawer, pantry, my desk, catalogs and magazines, the playroom, the sock drawer, closets - and get rid of the stuff we don't use, wear, or need. So right now, this is my thing. And my husband thinks I'm crazy. Truth be told, it does sound a little crazy - my resolve to do such a thing as this. But it makes me feel good to clear some of the clutter around here. In my opinion, a less cluttered home, a less cluttered state of being, a better mindset. I for one am happier when my home, and therefore life, is clean and organized. Honestly, the whole "let your house go" idea when you have small children has never really jived well with me. That is not my personality. I can let some things go, but I cannot have a messy house...at least for long. I do not like clutter. But it's inevitable when there's more than just you living in the house, so I try to be reasonable. Rational. Realistic. Hmmm, let's not ask my husband if he thinks I'm passing. I admit to liking the idea of "less is more" while at the same time enjoy buying things on occasion for the home, so I am not one to criticize someone for having a lot of things. And I am certainly not a minimalist. But I have definitely become an advocate for only buying things you need or love. Not because they are on sale, or because it's what someone else has, but because you love it. You've thought about it, you can afford it, and you love it. It is changing the way I live. I am in the process of changing the way I live. I've read several things recently, both in books and on blogs, that have stopped me in my tracks and shined some light on areas that are a little, well, dark. Not that there is a whole lot of evil going on here at our house, but there is a materialistic tendency to acquire - and hold on to - things. Earthly things! And there are certainly other areas where I could use some improvement. We are doing a great study right now in Sunday School: John Ortberg's When the Game Is Over It All Goes Back in the Box. He talks about competition, climbing the ladder, and keeping score - but life, like a board game, ends...and all the pieces go back in the box. He compares the "richness of having" with the "richness of being". He challenges you to take a good hard look at your life, you decisions, and do an honest self-examination. What do your actions say about you? your priorities? Very convicting stuff... The study has been compelling, impactful, and at times uncomfortable, but very worthy of my time. "The more you have, the more occupied you are. The less you have, the more free you are." By the way, I came across these quotes on a blog I read, Living Well Spending Less. Ruth is inspiring to say the least. 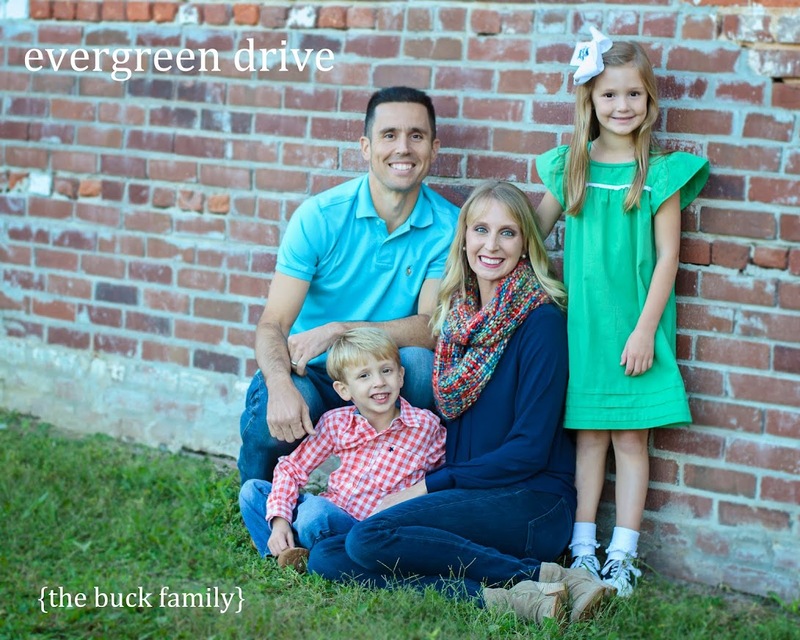 She's a devoted follower of Jesus and writes about her faith, family and living with less. She and Edie, another favorite of mine, did a "31 Days of Less and More" challenge back in the fall. It was awesome. I have thought about some of those posts every day, most of which have to do with having less of the stuff that doesn't matter, and filling ourselves and our lives with more of the stuff that does matter. All this rambling is to say that I am making a concerted effort to organize the house, little by little, and to clear the clutter. Hopefully this mindset will stick with me, but I may be back here in a year pledging to do it again. I am setting goals - and resolutions - to help my life (and actions) reflect who I am, and this is just a small part of that. At the very least, I plan to fill up those plastic bags, one each day, and have a little less to move and clean and look at around here! Want to join me? 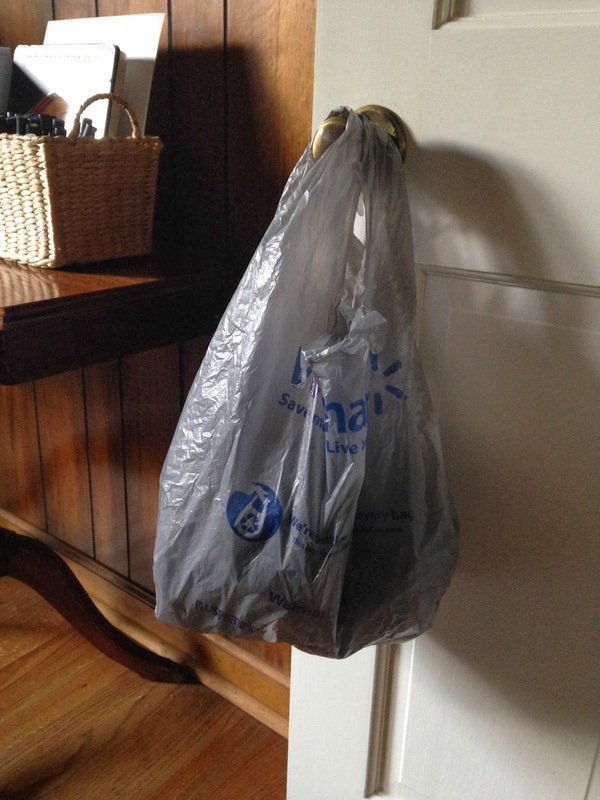 The next step will be to minimize those plastic bags coming in. Baby steps. Bear with me...and pray for my husband! When you run out of things to fill your bags with you can come over to our house!